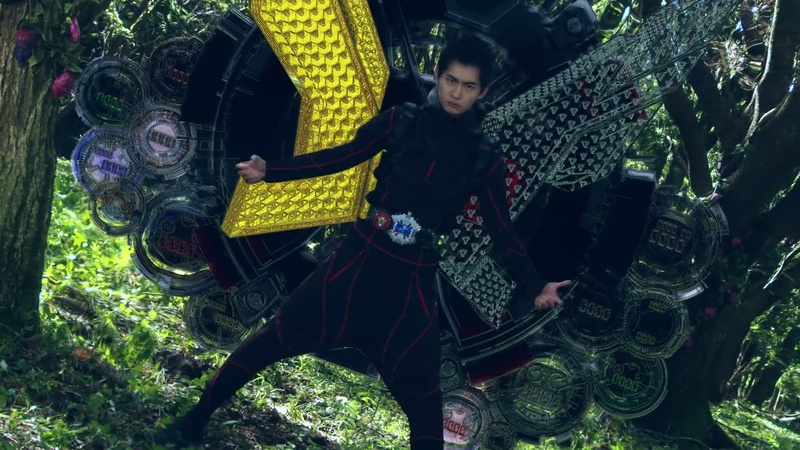 It is 2013 and Woz makes the proclamation as Sougo upmorphs to Gaim Armor for the first time. Sougo is battling Another Gaim and vowing to save Geiz who appears to be getting chased around Helheim. 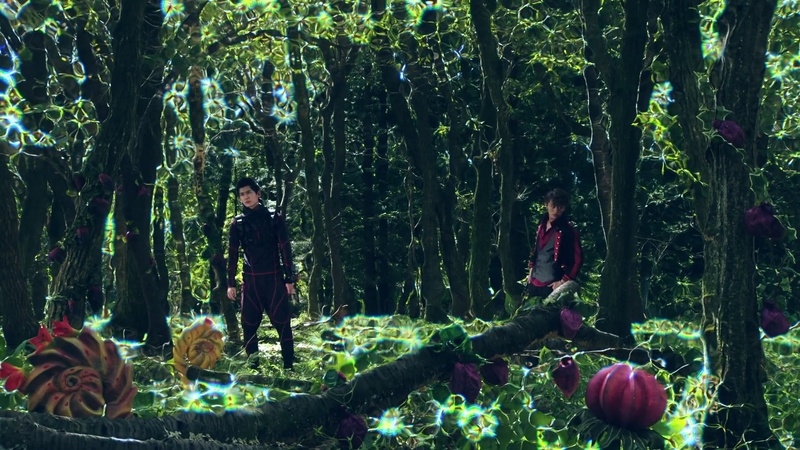 Sougo appears to have defeated Another Gaim, but he is suddenly transported to another world. 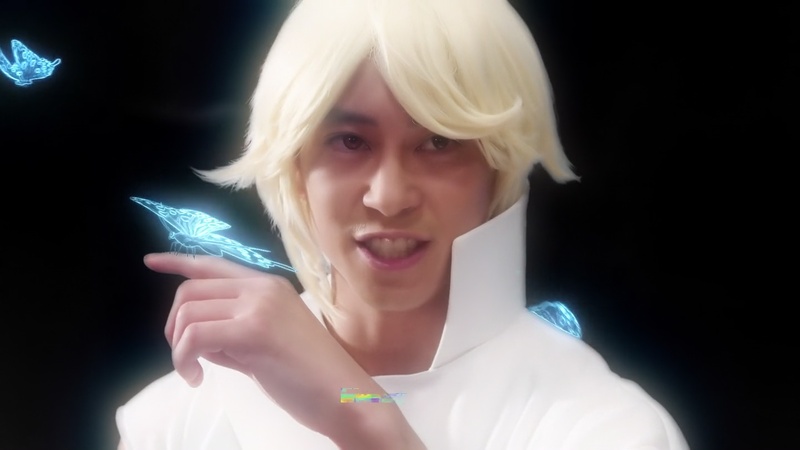 A mysterious man in white says that Sougo will indeed be able to save his friend, but is that really for the best? Does Sougo plan on becoming a king that solves everything on his own? If so, then there’s no point in having anyone close to him. The mysterious white man… is Kota! Kota suggests Sougo believe in Geiz’ own power and ability. Kota returns Sougo back to Earth 2013 where Another Gaim is still perfectly alive. Another Gaim flies away while Sougo remembers the man in white looks like the man who gave him the Gaim Watch, but still very different. The clock turns back two days. 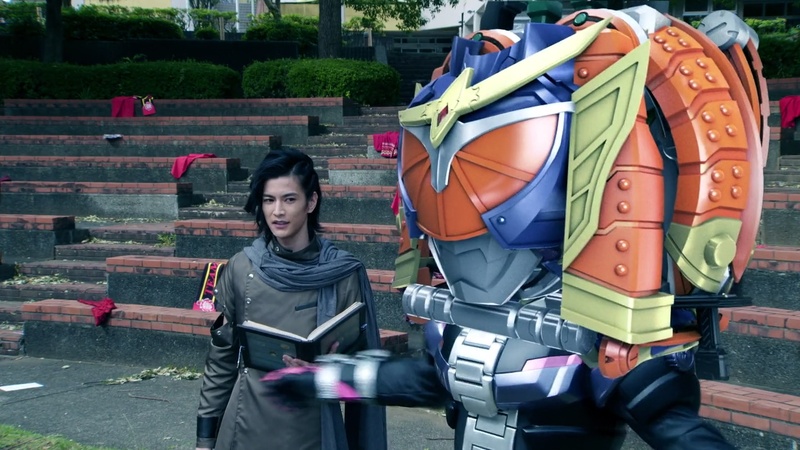 Ora and Schwartz confront Geiz about his leaving Sougo’s side. Geiz says he has decided to destroy Oma Zi-O. Schwartz suggests he team up with them since they all have the same goal, but Geiz says he is nothing like the TimeJackers who are only trying to change the future for their own benefit. 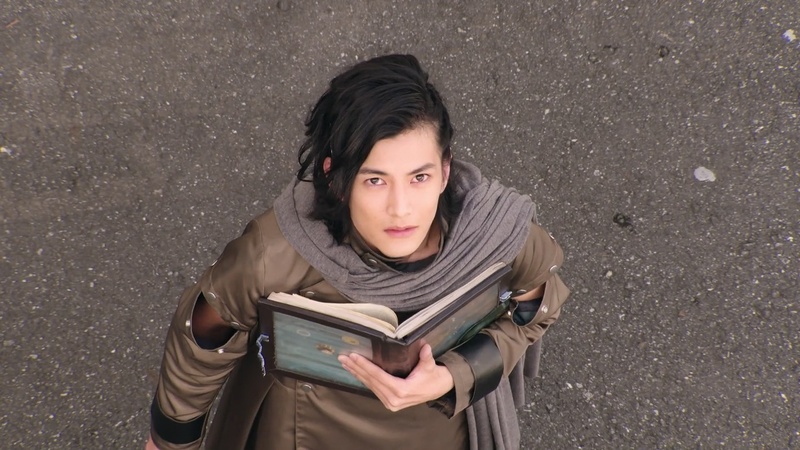 But Ora says they are the same since Geiz is also committing the grave crime of changing history as well. Schwartz points out that Zi-O is already powerful enough to defeat Geiz. So they should work together to defeat Zi-O. 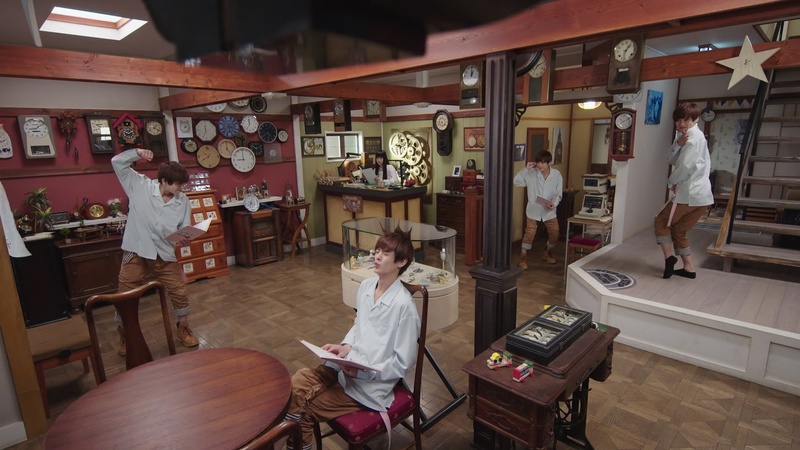 Over at the shop, Sougo and Tsukuyomi get ready to go out and look for Geiz. Woz comes in (after some pens and paper fall to the floor) and says they should ignore Geiz. Woz asks if Uncle Junichiro can fix his clock. Uncle Junichiro gladly accepts, finally getting a chance to fix a timepiece. He goes to make some tea for the special guest. Woz tells Sougo that he shouldn’t go after Geiz since it shows in his book that Geiz will oppose his rule in the future. Sougo insists that he needs Geiz so he can become a good demon king. Sougo goes to the door and sees a hand-drawn map taped to it. He puts it on the wall and walks out, not seeing someone hiding behind the umbrella basket. Uncle Junichiro catches the clock as Woz moves to throw it in the trash. Suddenly, Sougo is back in the shop, much to their surprise. He says the TimeJackers might be involved in the disappearance of members of a popular dance crew. He thinks Geiz might be with them too. He grabs Tsukuyomi and they head out. Team Baron is preparing for a TV show appearance. Team leader Asura is being confronted by a member of the team who saw him turn into a monster. He thinks Asura is responsible for the disappearance of their teammates. Asura morphs into Another Gaim and throws the team member into Helheim. Schwartz tells Geiz that Another Gaim will make the perfect king to help defeat Zi-O. Another Gaim attacks the other people in the vicinity, but Geiz saves them. 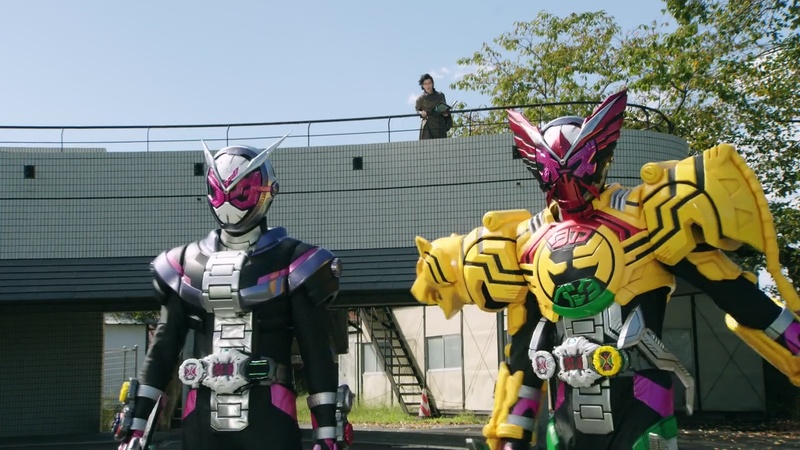 Sougo and Tsukuyomi arrive just in time to see Another Gaim tossing Geiz into Helheim as well. Schwartz leaves, disappointed that recruiting Geiz didn’t pan out. 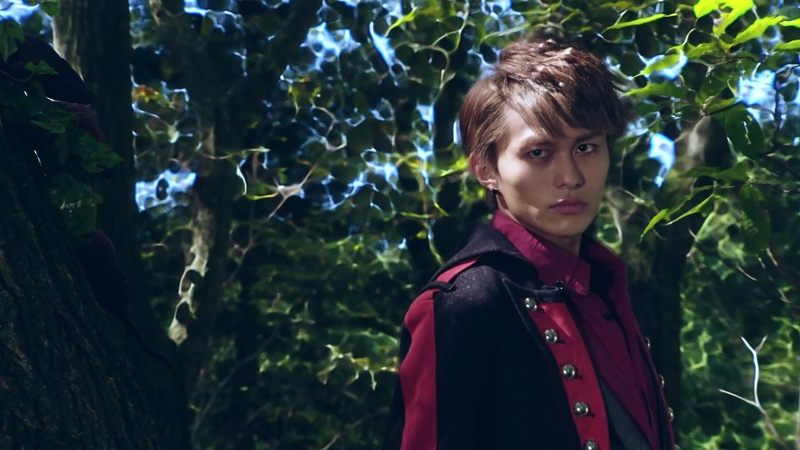 Woz appears and happily proclaims Geiz, the hurdle to Sougo’s ascent to the throne, has been eliminated. Sougo says they should focus on Another Gaim for now. Tsukuyomi wonders how Sougo already knows of Another Gaim. 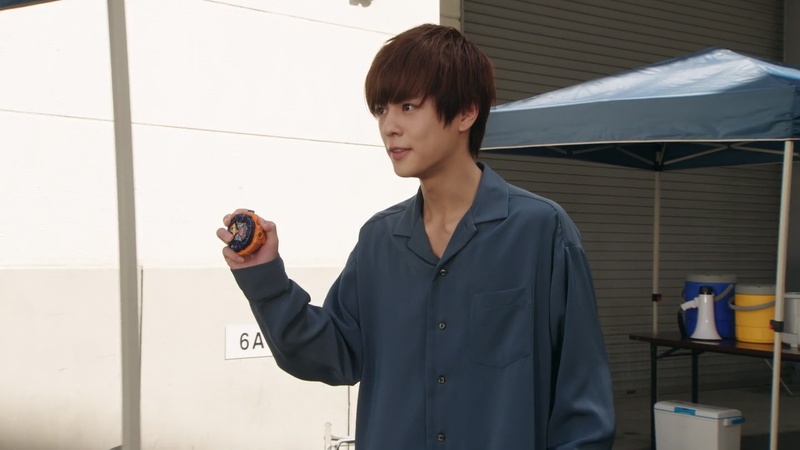 But Sougo shows he has the Gaim Watch and already knows what year he must go to. He says he’ll bring the injured man to the hospital first. Woz doesn’t remember having proclaimed Sougo obtaining Another Gaim yet. 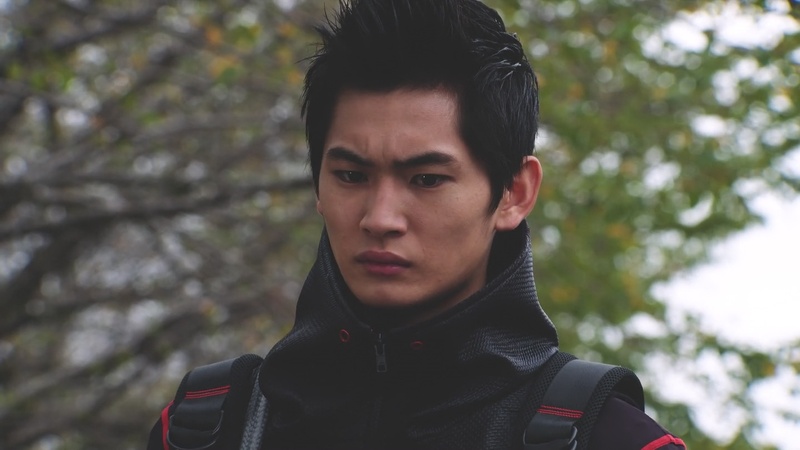 Over in Helheim, Geiz finds he can’t use his phone. Just then, he sees the Team Baron dancer from earlier getting chased by Inves. Geiz henshins and takes care of the Inves. 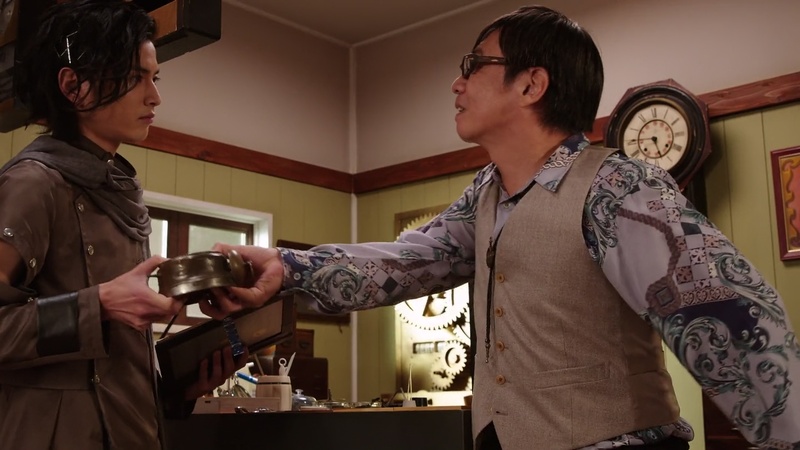 Back at the shop, Uncle Junichiro happily fixes Woz’s clock and asks Sougo if Woz is a nice guy. Sougo says yes. Tsukuyomi arrives home and is surprised to see Sougo back from the hospital so soon. Sougo asks if Tsukuyomi found Geiz. He decides to go back out to look for him. Seconds later, Sougo returns and apologizes for taking so long. Tsukuyomi does not understand what’s going on. Sougo wants to fill Tsukuyomi in on everything he knows so far. In 2013, Team Baron was on the verge of their big break, but Kaito had kicked Asura off the team. That’s when Schwartz forced the Gaim Watch into him. Asura then used the power to eliminate all the people preventing him from becoming leader of Team Baron by sending them to Helheim. Sougo says he knows all this because he’s done a thorough investigation. But Tsukuyomi knows he’s hiding something. Sougo runs out, saying he has to buy groceries. 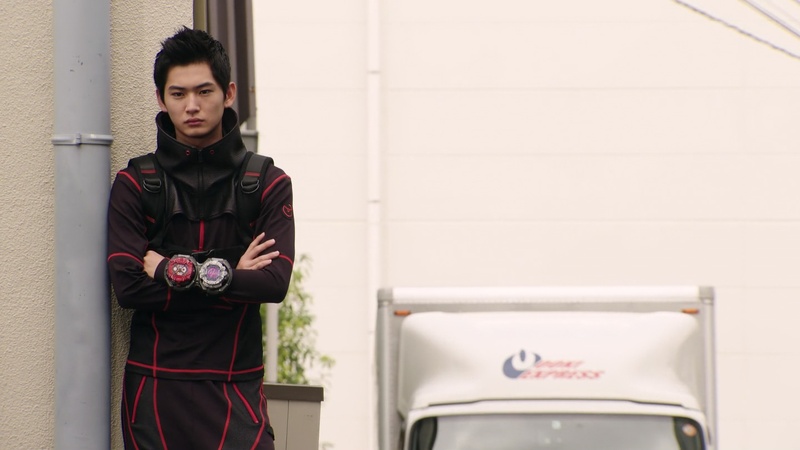 But just as he walks out the door, he walks right back in saying they should come up with a plan to find Geiz. Tsukuyomi fills Sougo in on what he just told her. But he doesn’t know what she’s talking about. This is when Tsukuyomi notices the two Sougos are wearing different shirts. She demands white shirt Sougo tell her what is going on. He doesn’t know. She drags him outside. Back in Helheim, Kaito says he’s been searching for a way out of the forest for five years. He asks Geiz why he wants to return so badly. Geiz says he has to defeat the demon king. 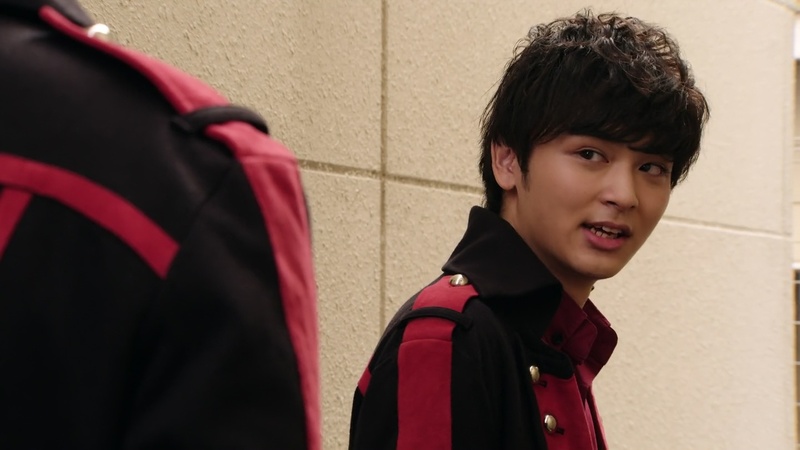 Kaito says he senses some hesitation in Geiz, that he doesn’t have the strength to defy fate. Tsukuyomi takes Sougo to a live performance of Team Baron and in a bit of deja vu, gets Sougo to unwittingly confront Asura. Asura seems to recognize him though Sougo doesn’t. 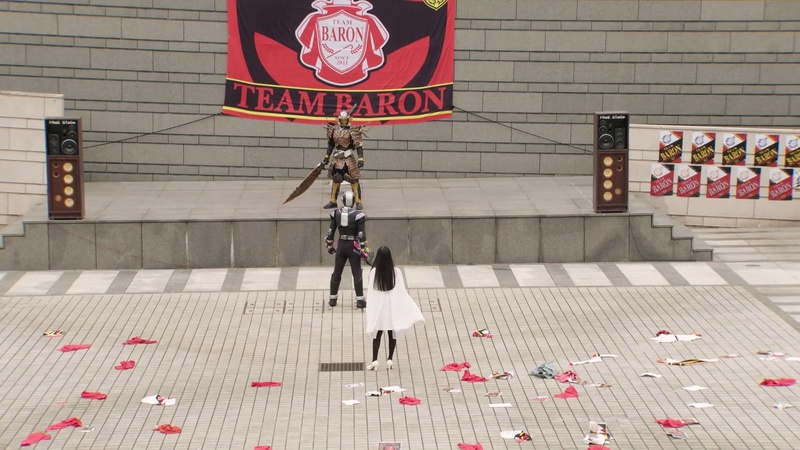 Sougo henshins and Asura is forced to go Another Gaim. They battle. Sougo goes OOO. Woz feels something is off, but doesn’t know what it is. Tsukuyomi looks around for something. Asura prepares to send Sougo to Helheim. But suddenly, a shot from behind a pillar. Two henshined Sougos. Tsukuyomi’s suspicions are confirmed. 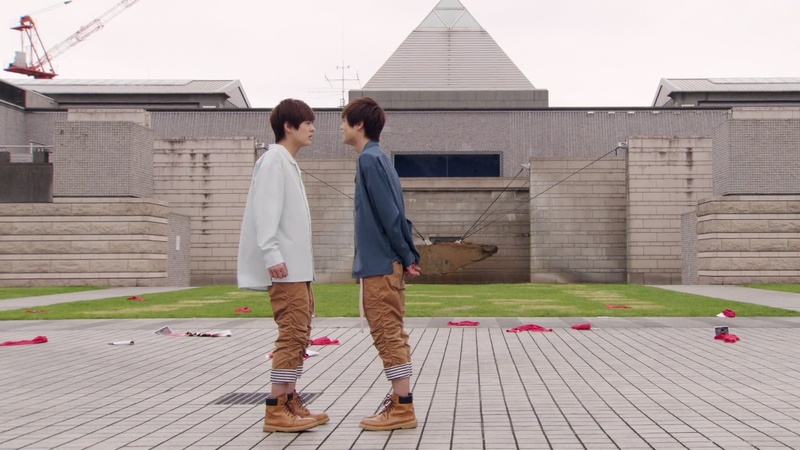 The two Sougos take on Another Gaim together. Regular Zi-O stops Zi-O OOO from finishing off Asura who disappears. Meanwhile, Kota cleans the camera lens. Tsukuyomi still doesn’t understand why there’s so many Sougos like Doraemon Darake. Sougo tells her to cheer up. But Tsukuyomi is worried Sougo is creating a time paradox. Sougo says he doesn’t know what that means. Tsukuyomi says he should know that by now at Episode 11, especially when he’s the title character. She points out he is a time themed Rider. 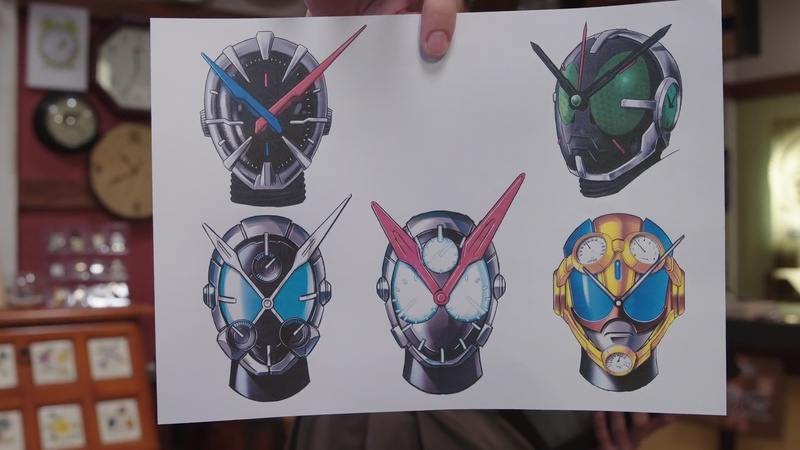 Woz appears to show them a series of initial sketches for Zi-O’s design, all with obvious clock designs. Woz says they put “Rider” on the face to show he is the king of time. Tsukuyomi points out there’s a lot of mysteries here in Kujigoji-do. She points out the clock from Build is on the wall. And spread all throughout the shop are other legendary items as well which fans can look for and post on social media. Woz shows them the gears on the wall behind Uncle Junichiro also turn. Tsukuyomi asks them what the shop’s hours are. Sougo assumes it’s 9-5 as the name points out. But the hours are actually 8am to 10pm. 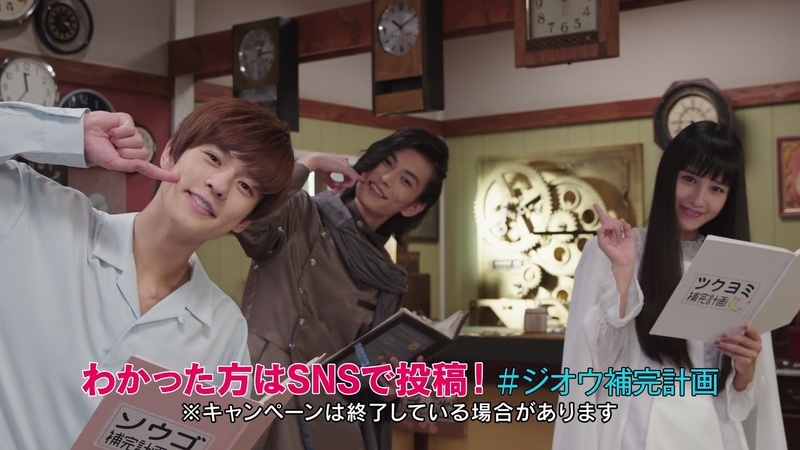 Sougo says the shop’s name should be Hachijijuji-do instead. Sougo realizes there’s lots of mysterious things around him. I enjoyed this episode. Even though the time traveling Sougo aspect of it was obvious, the practical side of the time paradox and the idea of changing history was interesting. Getting to see Kota and Kaito was also a very big plus as well. Still, I do wonder if the eventual result of all this is that despite trying to go back and change history and all that, what’s destined to be will happen no matter what. Or something like it all leads to one thing, but there’s still choices and decisions to be made at that point moving forward. Anyway, I hope we get more Geiz and Kaito interactions next episode. It’s fun to think how they’ve very similar. That is, their characters are very similar. (Though hopefully with different fates lol) But also the actors are similar as well. Yutaka Kobayashi especially is so much the opposite of Kaito. It makes you appreciate how well he portrays Kaito even more. Overall, it was a fun episode. They’ve introduced the time paradox in this first part of this Gaim arc. Let’s wait and see how they answer the questions we have in the second episode! Those people, who saw the whole “Gaim” series, they’re in the seventh heaven for sure! I wonder what’s gonna happen with other Sougo? Can Geiz finally accept Sougo? Maybe Kaito will help Geiz trust Sougo more. Remember me? The guy who left that scathing Build review? Well, I’m back. 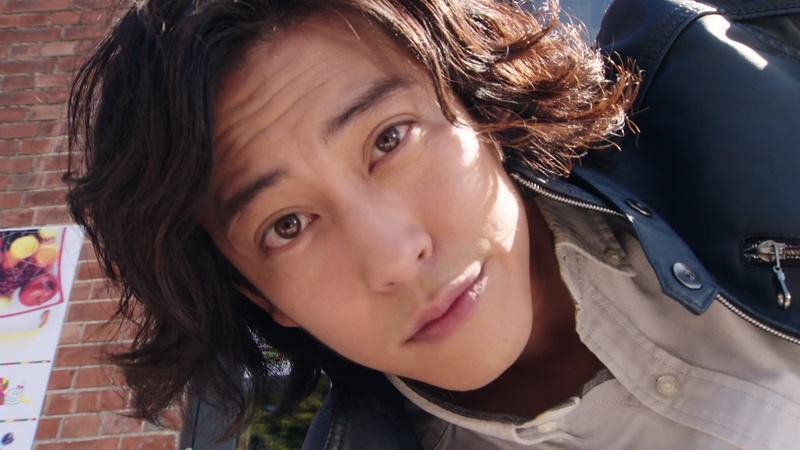 What’s your opinion on Zi-O now that the first quarter is nearly done? Personally, I’m loving it! I know time travel is a headache to write properly, but I’m just sitting back and having fun. It’s fine so far. At first, maybe first few episodes, I was a little confused and was trying to make sense of everything. But afterwards, I decided, no need to overthink this one. It’s not that deep lol So I decided to just suspend my disbelief and enjoy the ride indeed. lol No need to try and justify everything or make sense of everything. And since I’ve decided to do that, I’ve enjoyed the season much more.